An inferior vena cava filter (IVC) is a medical device that is used to stop blood clots from getting into the lungs. It was specifically designed for patients who did not respond well to blood thinners. The filters are placed inside of your veins to essentially “catch” the blood clots. Then, the blood clots eventually dissolve on their own. The device looks like a Daddy Long-leg spider, and is very small. This little device is responsible for approximately 27 deaths and an untold number of injuries. Now, there is evidence that C.J. Bard, the device’s manufacturer, actually knew that their medical device was unsafe, but they mass produced it and sold it anyway. They also released a second model that was almost identical, and had many of the same problems. Unfortunately, the IVC filters that C.J. Bard created are not the only medical device with serious problems or malfunctions on the market. Every day, hundreds, if not thousands, of people are injured because of medical devices. Implanting a poorly made or poorly designed medical device can cause life-threatening injuries or even death. It can change a person’s life forever. The remedy available for those who suffer from the effects of medical device mismanagement is to file a medical malpractice lawsuit. A medical malpractice attorney in Boca Raton can walk you through the process and determine what your next steps should be. You can find out more about medical malpractice cases here. The Food and Drug Administration (“FDA”) issued warnings about C.J. Bard’s IVC devices as early as 2010. Read more about that communication here. As of 2010, there were 921 adverse reports from 2005 forward. 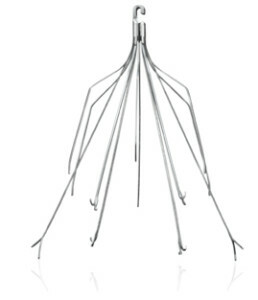 Today, thousands of people have been injured due to these IVC filters. The FDA reports that one of the main reasons that the IVC devices cause so many problems is because they are implanted much longer than they should be. The FDA has determined that the device should be removed after the patient’s threat of pulmonary embolisms subsided. However, many devices were still in place long after the threat subsided or were not removed at all. After extensive studies, the FDA determined that most IVC devices should be removed after, at most, 54 days. Visit here to read more about the various studies. Evidence has now surfaced that C.J. Bard may have known that their devices were unsafe as early as 2005, which was long before the FDA issued their warning to the general public. In fact, they sold roughly 160,000 devices before the FDA’s warning. There have been at least 12 deaths and many other health related problems that have been associated with Bard’s IVC filters. Fracture is one of the most common problems, and the problem is fairly consistent according to various studies. In fact, there is even a clinic run out of Standard Health Care that specializes in the removal of these failed filters, including retrieving pieces from the device from the bloodstream. Experts insist that the number of problems and complications that the device was never safe to be implanted in the first place. C.J. Bard is one of 11 manufacturers of this type of product. There are roughly 250,000 similar implants in citizens throughout the United States. Bard introduced its Recovery Filter in 2002, and it received FDA approval. However, a confidential study that Bard performed on its own urged the company to look into their product design further because it had much higher rates of fracture that could cause death and injury than every other competitor in the market at the time. Even after that study, Bard did not recall its devices. Instead, they created the G2 as a replacement, but even the slightly altered model did not fix many of the problems associated with the first design. You can read about these devices in detail by clicking here. There can certainly be problems associated with any type of medical device. If a medical device is negatively impacting your life, you could have a medical malpractice lawsuit on your hands. Visit here to read more about how an IVC filter injury lawyer can help you with you with your case and learn about your legal options.